The Camplex Singlemode Simplex ST to ST Fiber Adapter with Sleeve and Metal Thread provides a link between fiber networking devices. 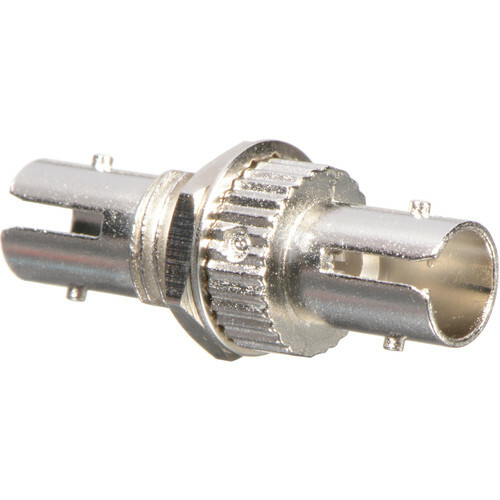 This coupler allows for connecting of similar connector types for long-distance networks at high speeds. Box Dimensions (LxWxH) 1.5 x 0.45 x 0.05"
Singlemode Simplex ST to ST Fiber Adapter with Sleeve and Metal Thread is rated 1.0 out of 5 by 1. Rated 1 out of 5 by Ki-Hyun from It's junk. After I bought, I tried to connect. But it was not connected. I am disappointed.